Forex trading signals that most traders want are selected through shopping for a chart containing useful forex trading indicators. These indicators would work best if a wiser approach is used by the traders to create a trading system that is unique from others. Forex trading signals provides clearly explained technical indicators to the traders. These signals pertains to price actions which set off either the market entry or market exit, or set off adjustments in any intra-trade types. A precise mathematical formula being applied to the prices refers to technical indicators. It also displays the intervals of time within the selected periods of prices. So, the charts contain information about technical indicators as well as the prices in the different intervals of time. The data in these charts are always updated depending on its type. Take for instance, a one-minute chart is being updated every after one minute while a sixty-minute chart is updated every after one hour. If you have understood these intervals and its effects on the technical indicators, then you can start finding the forex trading signals appropriate for you before entering the market. Potential traders are always looking for easy and clear technical signals. It indicates the right time when a particular trader should enter the market. Remember that forex trading signals are based on a specified chart interval. It is helpful for traders to always observe the chart before entering the market. They can also have an option to use these signals basing from one or more intervals of time to build any entry signal. If ever you have identified the trade through entry signals, then concentrate next on your exit plans. As a trader, you always have the options of limit exits, exit signals, trailing stops, or fixed stops on the trade. 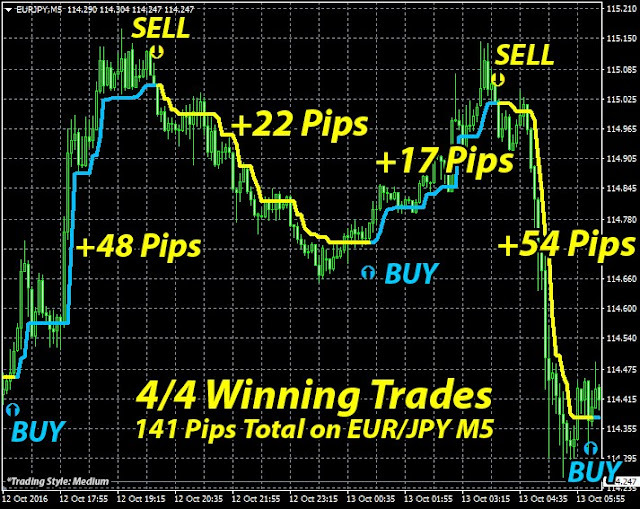 The trader can also use the forex trading signals when entering a trade to attempt in capturing a reversal. Take for example, if a short swing of a currency pair occurs, you will then capture it earlier as possible because you can accumulate better profit when the swing turns long. This is called the turning points which are excellent signals for market entry and market exits of shorter trades. Normally, limit exits are preferred by most traders. They are frequently trading using higher percentage, however for only lower pips. Another alternative view that is possible is to use the signals for managing market exits. The signals should be conservative but the exit signals should capture real moves rather than exit limits. It will be the trader’s personal decision on what type of signals he is going to use. The trader should be committed on whatever decision he has made. The technical indicators should be studied well to learn everything about it. It will help you select the best signals which will work best to your advantage. These signals can be merged. It can also be implemented along with some parameters for improving its performance and reducing the danger of wrong moves. Take note, forex trading signals are characterized as unique market aspects. Using different signal varieties will provide a good system of balances and checks. It enables the traders to anticipate the market movements and conditions before making their trading decision. Keep in mind that trading forex is difficult especially if it is done only as part-time. It could be easier if you are using your computer twenty four hours each day. Many independent companies and forex brokers have created trading systems which provide forex signals to its users to know when to sell and buy. The trade executions could be very simple. You can just make a phone call or press a button. Remember, forex trading signals are operating using a mathematical formula. The signals are sent out through phone or email if the parameters are met. If the signals are received, the user will then decide whether to obtain the signals or not. There are a great number of available service providers on forex trading signals. However, make sure that you carefully read their reviews. In fact, most service provider’s signals works, the problem lies on the failure of following the system. Even if you haven’t decided when it is the right time to sell and buy, you can be sometimes emotional which will later on distract your business’ right direction. The traders should follow the systems to succeed.